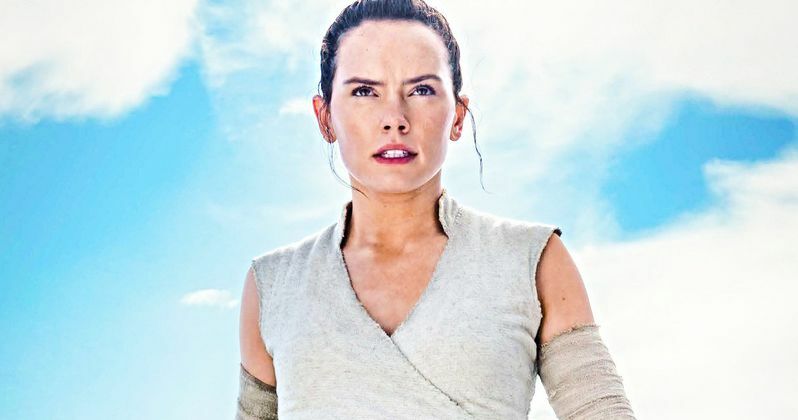 A new, strangely plausible theory about Rey's parents in Star Wars 9 has surfaced online. Currently, director J.J. Abrams and the brass at Lucasfilm are keeping a tight lid on the movie. All fans can do is hopelessly speculate in regards to what will come in the next chapter of the Skywalker saga, which doesn't hit theaters for more than a year. Just because Kylo Ren explained who Rey's parents were in The Last Jedi doesn't mean we're done agonizing over that whole situation, as this new theory adds an extremely dark layer to the overall mystery. There are also two different instances in which a character tells Rey that she knows the "truth." Kylo Ren in The Last Jedi looks at her and says, "You know the truth. Say it." While Maz Kanata in The Force Awakens tells her, "I see in your eyes. You already know the truth. Whomever you're waiting for on Jakku they're not coming back." What truth does Rey know? It could be, just maybe, that she accidentally killed her parents. Is it terribly likely that this will make its way into the movie? Probably not, but it's a pretty compelling idea. Star Wars doesn't shy away from darkness if it suits the story. We'll have to wait and see what J.J. Abrams cooked up for us this time around when Star Wars Episode IX hits theaters on December 20, 2019. This originated over on Reddit.